Celebrate the ethereal and oh-so-enchanting magical being you are with my Goddess Mist! This blend is a favorite among our Sage Goddess hive and I am so glad to bring this back — same great formula with new and improved packaging! 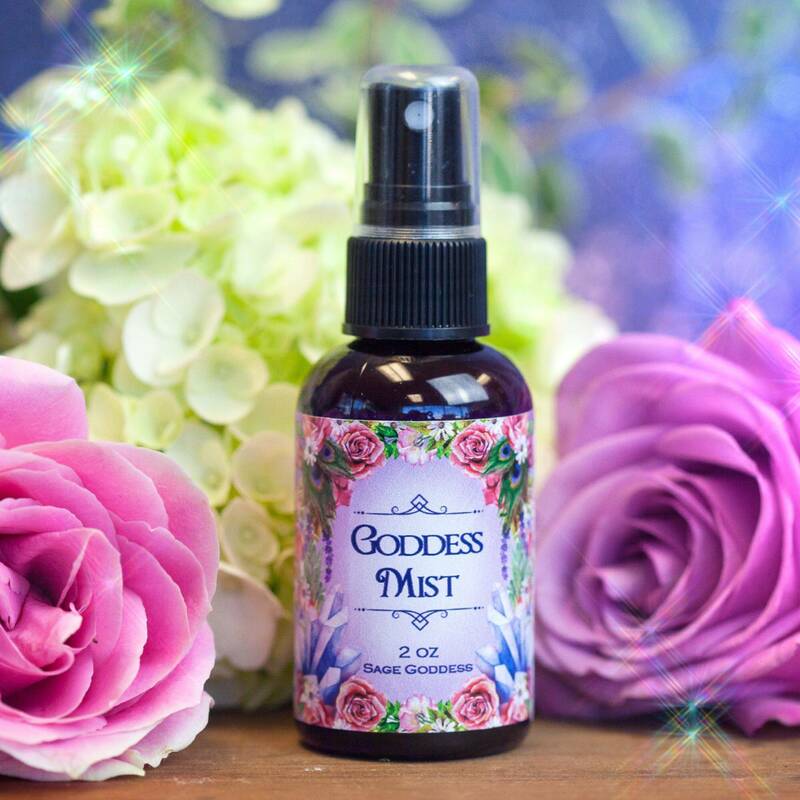 My Goddess Mist is for every woman who needs a reminder of her strength, her power, her beauty, her resilience, her ability to create the world she desires — for herself, her family, and community! This blend is for the Queen within, and I couldn’t be more happy to honor her with this magical fragrance. My Goddess Mist is dancing with enchanting notes of gardenia, tuberose, jasmine, and other exotic floral notes meant to invoke your Divine Feminine power. Spritz some of this mist on yourself, throughout your sacred space, or upon your bed sheets before lingering off to sleep. The scent is sensual and strong, and will linger beautifully around you for hours. This mist will bring out all of the enchantment and wonder that your soul has to offer, and will lead you to shine like the goddess you are. And if that isn’t already enough magic, each bottle has been infused with a clear quartz chip stone, for amplified power. The power of this offering is absolutely divine – and I am so excited for you to experience it for yourself. Your inner goddess is waiting! Will you heed the call? This listing is for one (1) 2 oz bottle of Goddess Mist. Yours will arrive lovingly packaged for your enjoyment!